can also improve cognitive skills. As people age, or as a result of chronic illness, the connection between the mind and body may weaken. The time between thought and action increases as conscious control of the body decreases. 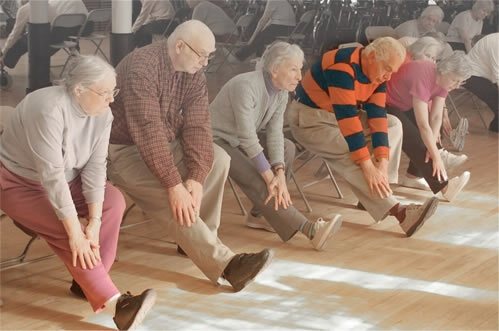 This places older and impaired adults at elevated risk of a fall or injury and compromises their mobility. Body Awareness, technically called proprioception, is the sense we have of the relative position of the parts of our bodies and the degree of effort involved in movement. In combination with the balance (vestibular) system of the inner ear, body awareness provides our brains with sensory information necessary for motor control. Motor Control is the process by which our brains interpret sensory information, integrate it with our decision-making ability and signal muscles for balance and movement. Cognitive Skills are our brains’ capacity to learn, remember, concentrate and solve problems. Like physical skills, our cognitive skills can be improved with training. For healthy individuals who want better balance, mobility and optimal mental acuity. 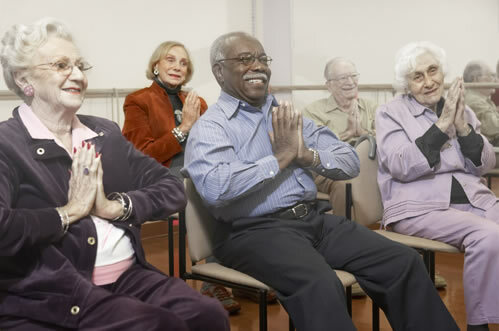 Class members will improve their coordination and stability while learning neuromuscular and biomechanical elements of movement that will help them avoid falls and injuries. For those with dementia, Alzheimer’s, Parkinson’s, MS, traumatic brain injury or stroke and brain-healthy individuals with motor impairment. The ultimate goal of the program is improved cognitive skills as well as improved physical performance. The class offers encouragement, feelings of accomplishment and greater independence.